The Kimball Centre held a design competition for their renovation and expansion, and announced BIG-Bjarke Ingels Group as the winner due to their “strong case for the continuity of Park City’s (the location of the art centre) history”. The project was due to be completed by mid-2015 but the proposal was rejected by city planners due to public disapproval. 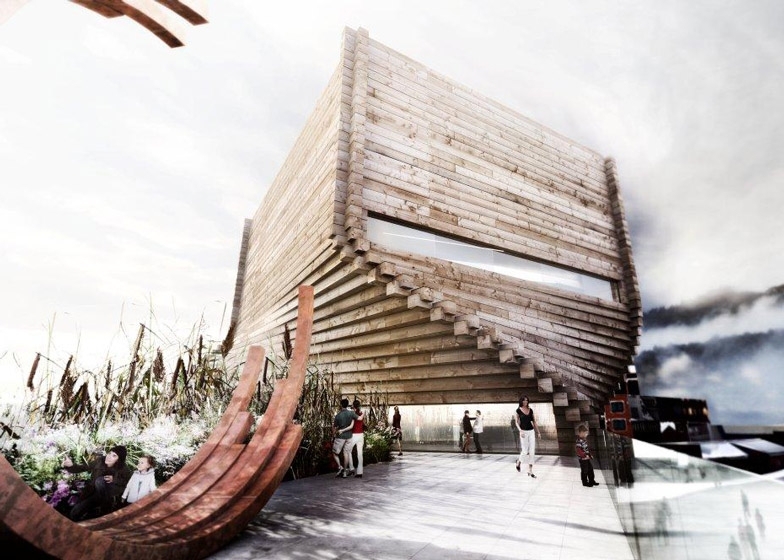 The design was to be built using stacked timber elements, reclaimed from train track piles from the Great Salt Lake, featuring a spiral staircase, exhibition spaces, a restaurant, and a rooftop terrace. We love this design – although plans fell through, this design is truly unique and exquisite. 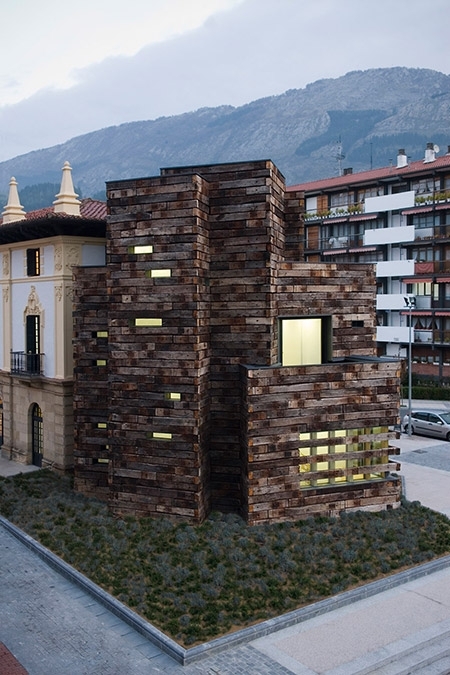 This library in Azkoitia, Spain has been crafted out of reclaimed sleepers. The building has been added to an old station building, which had previously been converted into a library but required more space. The building itself looks fit for purpose, with the sleepers positioned to look like stacked books! I love this element of the building, the originality and creativity is amazing. A truly remarkable building. I have never seen anything like it before. Built for religious services and to host local arts and music events, the house of worship has two floors and sliding glass doors to extend and reduce the size of the main room. 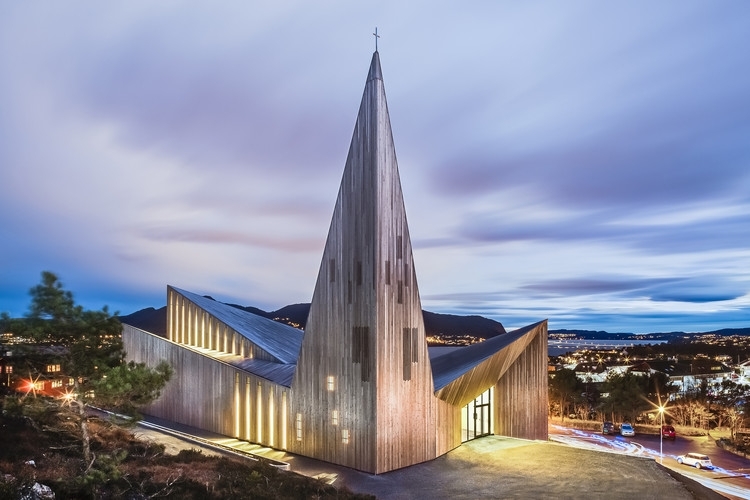 The futuristic design of the building is stunning; it’s distinctive and innovative character makes the church a landmark. One of my favourite pieces of architecture ever! Truly brilliant.